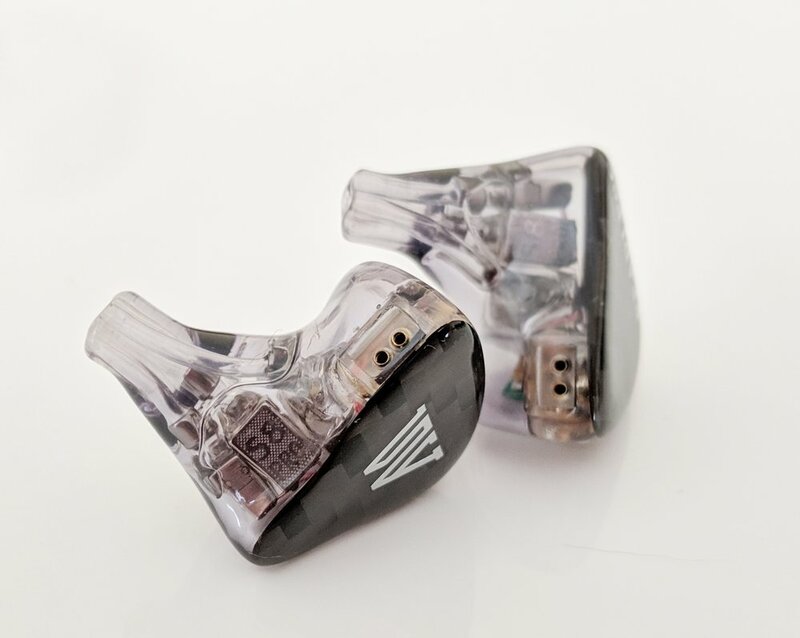 Fearless Audio are a new in ear monitor company from China and we just got the go ahead to do the Fearless Audio S8 Pro review with the help of Linsoul. The boom in Chinese HiFi has been in full swing for the past couple of years and things are really starting to heat up. 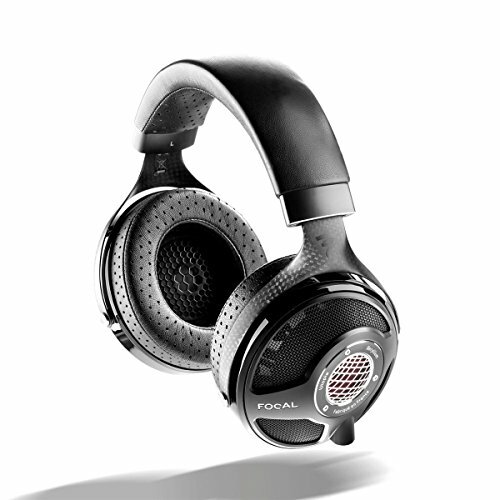 Many of these brands are positioning themselves to take on some of the absolute best headphones in the world. The S8P on paper looks like an audiophiles dream. It has 8 balanced armature drivers on each side but as we have learn’t in the past, more drivers definitely does not guarantee a good earphone. So if you want to know how the S8 Pro perform you can check out the rest of the review below. This Chi-Fi headphone thing seems to really be setting in now. 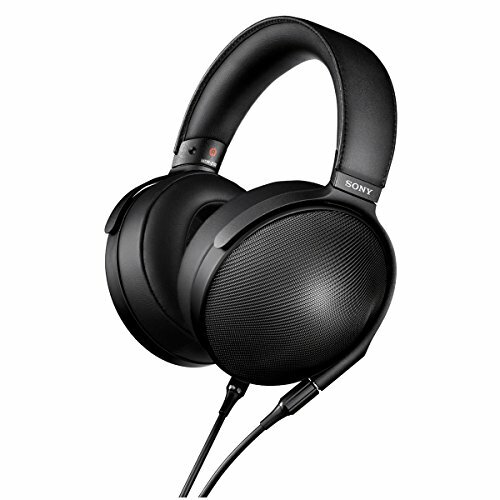 It is basically an explosion of cheap yet excellent quality headphones coming out of china that have flooded the market. In recent years they have completely revamped the concept of budget earphones. Companies like KZ (Knowledge Zenith) are hugely responsible for this rise thanks to them offering over-engineered earphones at prices where you traditionally would be getting junk. As KZ and other brands expanded they branched out to take on more and more expensive earphones. However, they have never really gone after the highest end of the portable audio market. 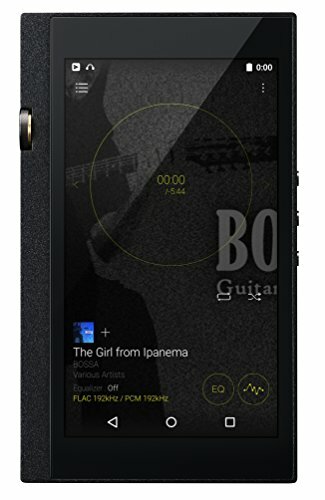 In 2019 that looks set to change and I think after years of price gouging on consumers we are seeing a truly pivotal moment in portable audio. Mainstream consumers have always accepted that the big brands like Shure, Westone and Sennheiser dominate the high end IEM market. Audiophiles are rightfully fond of more boutique brands. Most people are familiar with big brands and expect that their higher end offerings are the best money can buy. Here’s the thing though, I’m having a harder time recommending them in the face of the outstanding value we are seeing out of China. However, there is a stigma attached to these headphones. Somehow there is a deep rooted perception that they are dollar to dollar inferior. That is just not the case. 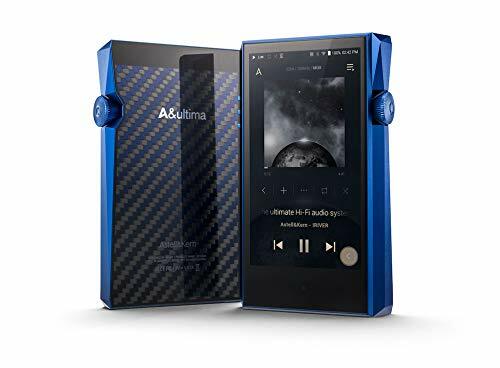 The Fearless Audio S8 Pro I am going about to review below perform so far beyond their price point (in comparison to western brands) that its getting ridiculous. People, myself included, are guilty of categorizing headphones by price but in reality that concept just doesn’t work in terms of these companies. They have lower production costs, nearly zero advertising/marketing overheads and they have access to the most cutting edge tech right in their back yard. Their time to bring a new earphone to market is simply unmatched by the bigger brands. Whilst i still look at these new brands with a cautious eye at first its almost impossible to dismiss the excellence of some of these earphones. Fearless Audio are an interesting new earphone company. They offer an incredible number of products and there is the ability to customize them to suit your own style and taste. You can choose from their wide range of driver setups and then dive deeper into customizing the housing, faceplates and graphics. At the prices they charge you would be looking at the bottom end of other custom companies offerings on a driver to driver basis. Oh and Fearless also have a number of custom monitor options as well if you want to Take that extra step. The thing that I see which sets them apart from others is they really have a great understanding how to make incredible sounding earphones. That and they don’t charge you an arm and a leg for the privelege. I’m interested to try more of their offerings in the future and have heard very good things about their other offerings especially the S6 and S4 lines. This is not a paid review, yes Linsoul sent them to us but as always I will say whatever I like whenever I like. I have called BS on numerous companies in the past (Anyone remember what happened to Hisound?). What you are going to read bellow is me being very enthusiastic about this earphone and this company by extension and I would like to touch on why. I think for a long time this hobby has been getting ahead of itself and many companies are frankly starting to take the p*** with regards to their pricing and placebo driven marketing. Finally, we are seeing some pushback from companies like Fearless and others and in the future I hope to see less of the “these headphones sound like headphones twice their price” and more “These Astell Kerns, Nobles etc are ridiculously overpriced”. Companies like Fearless are a good thing if you care about performance. The more competition from companies like this the better it is for consumers in the long run. What are the Fearless Audio S8 Pro? The Fearless Audio S8 Pro ( Or S8P) are an in ear monitor style earphone with universal fit and 8 drivers in each earpiece. That’s right 8 drivers a side, both Knowles and Sonion, blended with crossovers and triple bore tubing. They come in a custom style universal housing and with numerous colors and designs and they are available to purchase starting at just under $500. 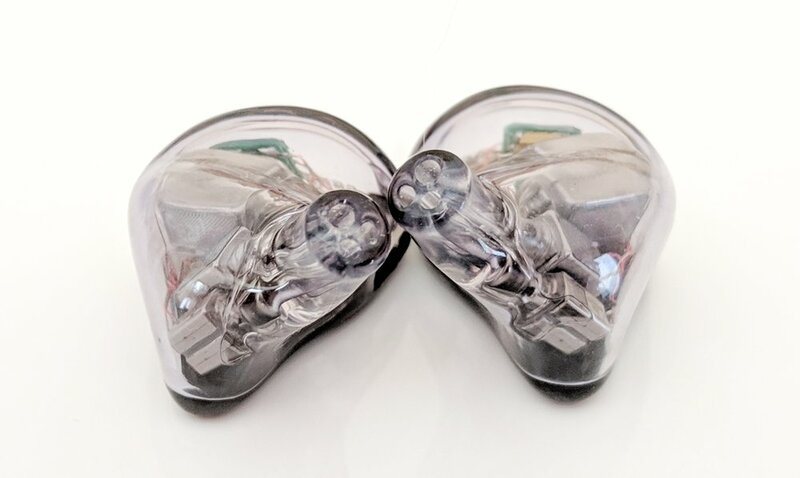 These IEM’s are targeted at audiophiles and enthusiasts but they will also be appealing to musicians that are looking for high performing yet keenly priced stage monitors. Upon receiving the S8 Pro you notice there is absolutely nothing special about the packaging. Nothing at all. I have seen better packaging on earphones under $50. Its not that its bad in any way, its just very simple. A recycled cardboard box. 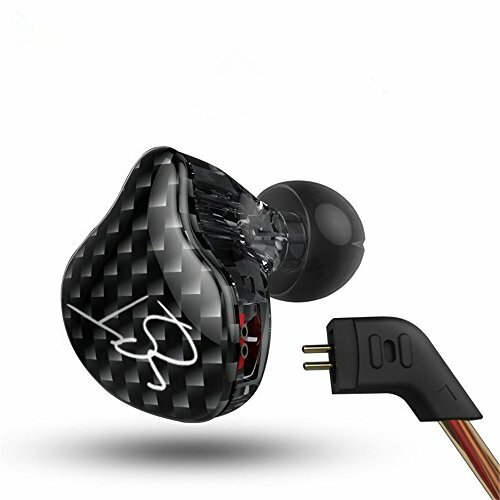 The company logo and an earphone graphic outline on the front. There is some Chinese writing, specs and a QR code on the rear. Nothing alludes to the awesome stuff that resides inside. So, we open the box. Again nothing crazy here. No sign of the earphones yet nothing but some cardboard buffers to keep the contents safe in transit and a the top of a plastic hard case. That case is a simple plastic clam shell design similar to, but not of the same quality as, a pelican case or even Dunu’s hard cases. It is still really nice, is a good size and I like that it opens length ways. A great way to keep your earphones safe when not in use and a much appreciated inclusion. Now the party starts when you open this case. Inside you are greeted with your fist sight of these beautiful Fearless Audio S8P earphones and their gorgeous cable that we will discuss a bit later. Accessories wise its very simple. You have a shirt clip, a cleaning tool and some eartips. The eartips come in a variety of sizes and styles. These include 2 styles of silicone tips and 4 different sizes of Comply style foam tips. Needless to say with the variety included you should have no problem finding a match for your ears but we will go into tip rolling in the sound section because on these earphones correct tips are essential to performance. The only other thing in the box is a metal warranty card. The really nice thing here is that it comes with the build date and the earphone builders name laser etched onto it. Mine was made by Yoyo so Yoyo if you are reading you did a hell of a job with these earphones. When I first got seriously into earphones in the late nineties/early noughtiescustom in ear monitors were a the holy grail for many simply because they looked cool. I soon came to realize after owning many sets over the years that they do have there uses but I far prefer universals. For all intents and purposes the Fearless Audio S8P and many other earphones in their lineup all look like custom in ear monitors. Actually, they are customize-able with regards to designs and shell colors. Oh, and yes they do also offer CIEM builds that we will hopefully test soon. You get all the benefits of the look and personalized build you get from customs and still have universal tips at the end. One issue here is that the end of the earphones nozzle is completley smooth and I have had the tips be left in my ear twice over the past 2 weeks. This is a common thing with earphones this style and its a super simple diy fix. Simply very lightly rough up the end of your eartip (Around the outside, not the bore holes) with a little sand paper. This allows the tips to get a better grip rather than struggling for purchase on the smooth acrylic. Alternatively you can run a groove with a dremmel but I don’t advise this in case you drill too deep. My set came in a specific build, I did not request this its just the way they came. They had a clear smoked housing and black carbon patterned face-plates with the Fearless logo on the left side and the word fearless on the right side. The text was in silver and is set beneath another layer of acrylic so there is no chance of it wearing off over time. This sometimes happens with direct to shell printing or decals. The coolest thing about earphones like these is you can see all the crazy workings on the inside. On an 8 BA (Balanced Armature) model it truly is amazing the way they fit so much hardware inside such a compact housing. Everything is perfectly placed and so delicate looking that you cannot help but be impressed. Its also great for if you have to explain to someone about what is so special about the IEM’s. The build quality is very good and there is really nothing to complain about on the S8 Pro. They are hand made so you should expect some slight variances in model to model but the overall finishing is excellent. Now you should note that these are Acrylic IEM’s. That means that they will not be the toughest earphones on the market so you are going to have to treat them right. Full metal industrial earphone designs like Campfire Audio’s Andromeda and Jupiter as well as the new IMR R1 Zenith that we just reviewed sit at the top of our table for toughness. The S8P are not on that level but so long as you don’t go dropping them from a great height or step on them (believe me it happens) then I don’t see any points of failure. The cables are detachable meaning that if anything ever goes wrong on that end you simply swap them out for another aftermarket cable with 2 pin connectors. On the subject of the cables I like that the connectors on the housing side are recessed into the housing. I have had all sorts of corrosion problems with earphones that do not have this recession so Fearless have added a nice subtle touch that will keep these ticking over for years to come. In true CIEM fashion these earphones have open bore holes leading to the drivers and that is going to require occasional maintenance depending on how much wax your ears produce. Every now and then you will want to check the bore holes and remove any built up wax using the included tool. This wax build up doesn’t usually result in outright failure but it can do so in extreme cases. It can also have a big affect on the sound if left unchecked. Its inherent to the design of this style of earphones and not and oversight so we cant take away marks. Just keep them clean and you are good to go. It amazes me how many companies have terrible cables included with their earphones and that doesn’t just ring true at the budget end of the market. Some top of the line earphones come with seriously sub par cables but the cable on the Fearless Audio S8P doesn’t fall into that category. It is awesome. An 8 braid silver cable that changes to 4 lines after the splitter. It is extremely tangle resistant, has low presence of memory in the wire and just generally looks great. The 2 pin connectors are metal and color coded for left and right as they should be on any good earphone. They have a plastic lip that acts as a sort of o-ring in the earphone recession to deter water ingress. The 3.5mm audio jack is also very nice with a metal construction and silver carbon fiber weave insert. There is also a small but useful strain relief installed at this end. The splitter is good as well, its small and unobtrusive and has a slider to help tame the cables when you are out and about. Its a brushed aluminium with the fearless logo on the bottom part and the words Fearless Audio on the top part. My only issue here is I think that the latter part has been accidentally installed upside down. It makes zero difference to operation and is almost impossible to spot unless you are looking for it. In fact I’m not 100% sure it wasn’t intentional and if it wasn’t it may just be a one off mistake. Comfort wise the Fearless S8 Pro are up there with the best of them. Seriously for an earphone with so many drivers inside they are both lightweight and incredibly comfortable. The way that the housing is shaped is perfect for my ears and causes not discomfort at all. There are no sharp edges and no weird joints to cause contact fatigue over long listening sessions. The lightness and over ear cables make them simply disappear in your ears and never feel like they are going to fall out. Heavier metal earphones with a cable design are prone to this so this is something inherent in most earphones of this style. Insertion depth is mid/shallow so those who have trouble getting stuff deep in their ear canals should enjoy these and because they are so light they don’t try and dislodge themselves when you are moving around. Isolation wise they are about a medium. Silicone filled and metal housings are usually better insulators that acrylics and that shows here. These block out a good amount of external noise but I wouldn’t say that it exceeds the industry norm. 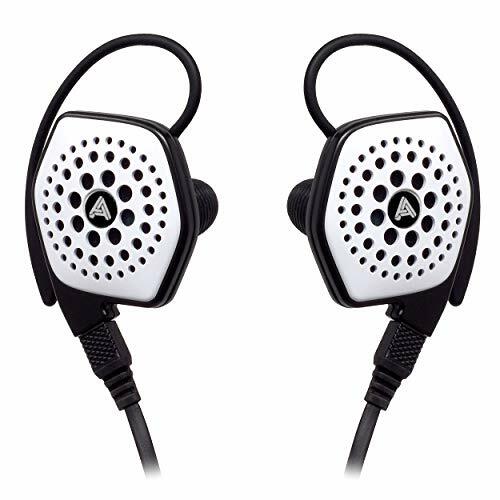 They do isolate well and are more than good enough for commuting and use in public but they are not true isolators or stage monitors when all hell is breaking loose around you. The sound is amazing. I could really just leave it at that. I have found it harder and harder to get excited about IEM’s over the past year. The funny thing is people have become so nit picky the deserve a slap. Very few headphone companies make bad earphones at this price range (If you do its both instantly picked up on by the enthusiast community). The S8P goes beyond that. It’s an amazing sounding earphone with bags of detail, lots of clarity all wrapped up with a beautiful natural sounding presentation. It really makes you wonder where your money is going when buying lesser earphones for more money from some big name brands in the market. Hype trains are always a PITA but this one is real and its going to be interesting to see the rise of Fearless as a brand. The res of the package aside they are getting a whole lot right in the sound department with the S8 Pro. Each level of frequency performs exceptionally well and is blended beautifully together to make it a very seamless listening experience. Imaging is excellent and this is where you start to see the benefit of multiple drivers and crossovers come into play. Its a realistic sounding earphone giving light to that old saying “listening the way you feel the music was intended”, nothing takes prominence over another area but each is put rather up front and in your face. Lets start with the bass. When listening to rock and metal it’s very refined detailed and fast, there is plenty of texture to go with the weight. I expected given the BA drivers and pro designation that it would be almost reference like tuning and somewhat lifeless. I wasn’t prepared for the S8 Pro’s ability to be so punchy and deep. The low end is not an experience similar to the IMR Acoustics R1 Zenith we have previously reviewed. 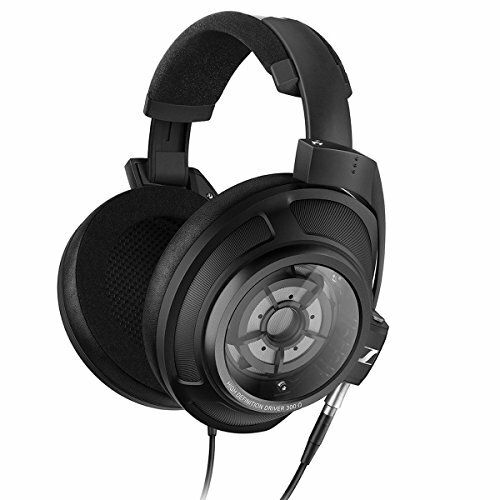 The Zenith’s big volume 14mm dynamic drivers move serious amounts of air and give a deep sub bass rumble. The S8P are more about detail and textured impact and I have found myself become extremely addicted to it over the course of the review. 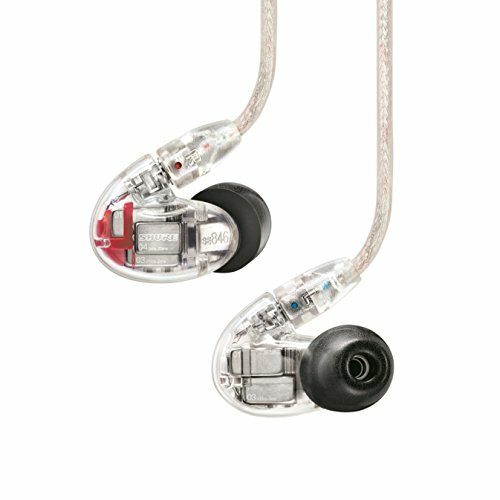 Comparison wise this draws similarities from my Shure SE846 which have one of the best low ends on any iem’s. Its big bass but not overdone. Whats great is that there is not a hint of bleed into the midrange and there is zero distortion going on that my ears can detect. I threw everything from Infected Mushroom, Two Feet and Chaos Royale them and even in his Gasolina remix the S8Pro stay fast and composed whilst at the same time complementing the other frequencies and not swamping them. The midrange is a joy as well with smooth highly detailed mids that seem to be blended so beautifully from the low end. The transition is smooth and gapless. Vocals sound full bodied and detailed. They carry all sorts of nuances you sometimes miss like the pursing of lips on live recordings before a word is even spoken or the dampening of the pedals when listening to solo piano tracks. They just seem to keep giving you more and more. Vocals sound very realistic and don’t suffer from an overly warm tuning like a lot of other earphones are going for at the moment. You get depth and texture on male and female vocals but its the female vocals that really come into their own when combined with the refined highs of the earphone. The highs are extremely detailed and sparkle when required. Of course there is no sibilance but they appear brighter than other earphones partly because of their balance with the other frequencies and with that prominence of detail. Instead of being mashed with the other frequencies it stands proud and with the overall tuning being the way it is, it makes these and amazing set of headphones that is versatile enough to be used with any genre of music. The soundstage is average, its deceives because there is so much spacing and separation going on that a lot of people will mistake this as a large open space. That’s wrong, and whilst the S8P shows good width and depth it really isn’t much more ahead of the norm in 2019. Earphones have advanced tremendously in the past few years and I would say the S8 are up there with the new standard whilst not being as big sounding as an SE836 or IMR R1. Pairing wise I had no problems at all. The majority of this test was carried out using my Lotoo Paw Gold but trying them with any of my other amps or DAP’s yielded similar results. Hell they even managed to sound good with a Pixel 3 and dongle. Word of warning f you have bad source material these will absolutely obliterate the track. For example listening to Him’s Heartache Every Moment over standard Spotify quality was torturous. Note i need to mention this here that if you do not have a good seal with these earphones then they sound terrible. Like really really bad so play around with tips to make sure you can get them well seated in your ears. If not you will miss out on all that beautiful bass and they sound sucked out and lifeless. I think its pretty clear throughout this review of the Fearless Audio S8 Pro that I am a big fan. I saw them getting talked about and had initially dismissed it as another hype train but they go way beyond what I could of ever imagined. At their price and beyond they are a terribly hard to ignore. Using multiple drivers does not always make for a good experience. There is a craft in setting them up correctly in a way that the end result will justify the effort and price. Fearless Audio in my mind at least have no given a lot of bigger companies something to think about. Hopefully with more companies like this putting out outstanding earphones at a fair price we can at least hope for less price gouging in this hobby. The S8 Pro are an excellent earphone with almost every feature I could every dream of and they get the thumbs up from us. Thanks to www.linsoul.com for providing us with the S8P for review. Note: I will be at High End in Munich next month so if anybody would like to try the S8 Pro for themselves let me know in advance and I will bring them along to a listening session.